LONDON – The government of the UK is easing some rules regulating Controlled Foreign Comapnies, and the changes may lead to billions in lost tax revenues in developing countries and in the UK. The international development charity ActionAid is claiming that the UK government will open up a new tax loophole that will allow UK registered companies to avoid paying significant amounts of taxes when operating overseas. Details of the alleged loophole were described in a new report, called Collateral Damage, released recently by the organization. According to ActionAid, the government of the UK intends to dilute the current rules of Controlled Foreign Companies (CFC), which will ultimately allow UK registered entities to reduce their own tax obligations when operating in developing nations. Under present CFC rules, international subsidiaries of UK registered companies may be required to pay the standard UK tax rate on their earnings in order to deter entities from shifting profits to low taxed jurisdictions. If the proposed changes are implemented, transactions between offshore subsidiaries of UK companies will no longer be assessed under the CFC rules. ActionAid claims that the change will effectively encourage companies to evade their tax obligations when operating in several other countries simultaneously, especially in developing nations with low rates of corporate taxes, or when a UK company own “tax haven” subsidiaries. The charity said that the change will lead to significant tax revenue losses in developing countries, and will have a particularly strong effect on the funding of national projects and infrastructure investment. 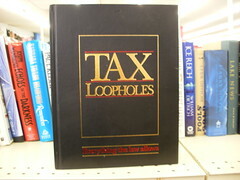 ActionAid estimates that the tax revenue losses in the developing countries could reach up to GBP 4 billion per year. In addition, the change will also lead to a loss of approximately GBP 1 billion from the tax revenues collected by the government of the UK. ActionAid is now calling for the government to reconsider the changes, which are scheduled to be released on the March 21st in the budget announcement by Chancellor of the Exchquer George Osborne.